a bond of £50 is required against damage, this will be returned within 7 days of your departure provided there has been none. Please note the new swimming pool is pay per swim from reception. And not on a pass basis.adults £4. Children £2. Under 3. Free. 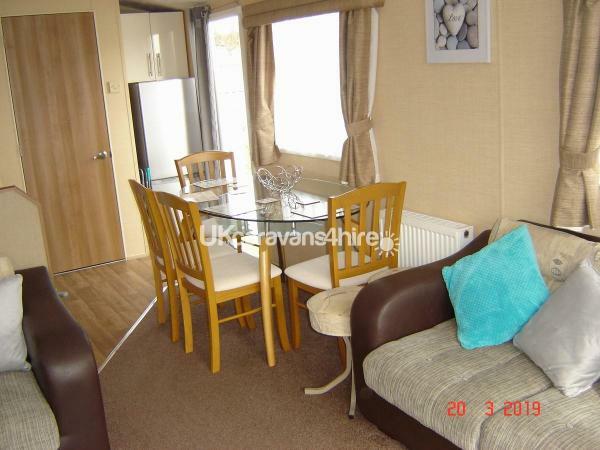 6 berth, 3 bedroom caravan, with double glazing and gas central heating, 2 seperate toilets. Shower.master bedroom with tv and en suite, 2 other bedrooms with twin beds in each room, tv/dvd combi, microwave, toaster, kettle. iron and board, hairdryer. 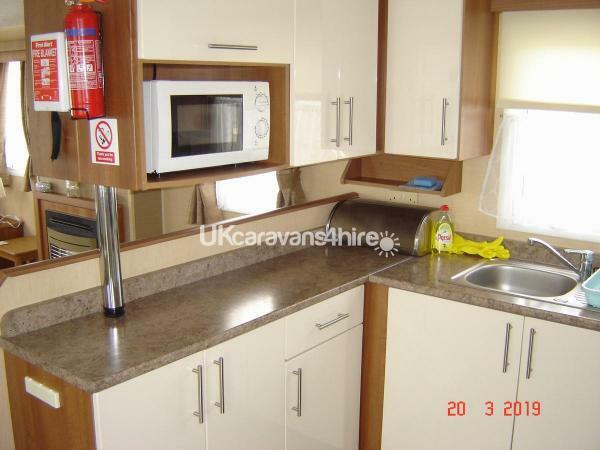 all utensils and pots, pans etc, travel cot and childs bed guard, all bedding is provided and ready made for your arrival, all towels provided., it has its own private parking on a block paving area at the side of the caravan. The location is near the reception so not very far to walk to everywhere. On site there is a clubhouse, swimming pool, shop, launderette, chippy and play area. We do however take a £50 bond against damage, but this will be returned within 7 days of your departure if everything is ok, there is a deposit of £50 to book, and the balance is due 6 weeks before arrival unless other arrangements have been made, we keep our caravan in nice condition with all home comforts, we are happy for you to pay by instalments if this is your wish. Additional Info: NEW for 2019 will be a brand new swimming pool complex which will make Golden Gate one of the best & most sought after sites in the area so please book early to avoid disappointment.